Game Board Book Report Project: templates, worksheets, grading rubric, and more. 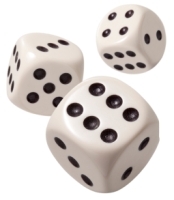 Are you looking for a fun idea that requires students to design a game all about their books? Your students will have fun playing their games together after they have finished these engaging projects! 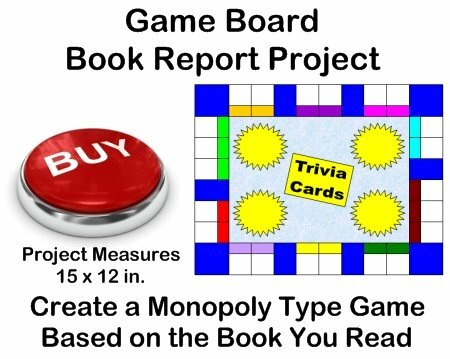 Game Board Book Report Projects: Do you want an fun and challenging book report project idea for your students that also involves them designing a game about their books? 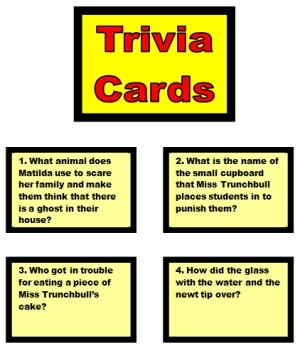 These game board shaped graphic organizers will provide you with all of the teaching resources that you need for your students to create property names and trivia cards for a game based on their books. 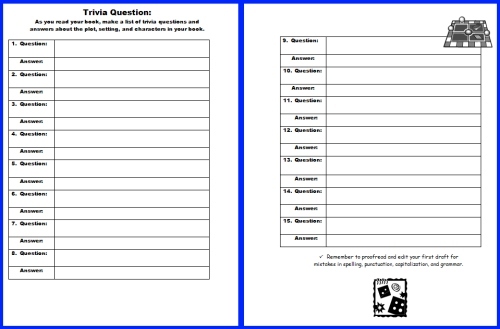 This fun book report project will involve your students in creating 22 property names and 15 question and answer trivia cards. 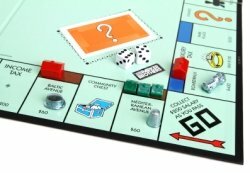 I have designed the templates for this project to be similar to the popular board game Monopoly. The written responses that are required of students for this project will make them have to think about their characters and settings in a whole new way! 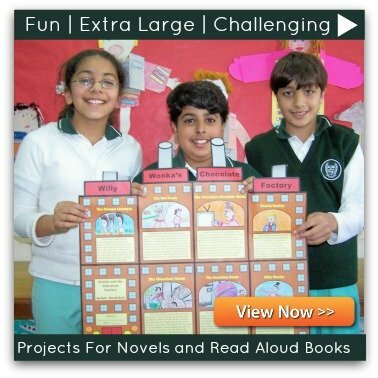 When these unique book report projects are completed, your students can have fun playing each others' games before you display them on your classroom bulletin board. 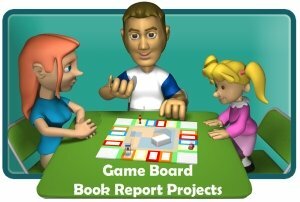 Everything that you need to complete these game board book report projects is included in this set of teaching resources. All that you will need is scissors, glue, tape, and coloring pencils. There are 20 printable worksheets and template pages in this set of reading resources, as well as a 5 page color bulletin board display banner. These finished game board book report projects will make a colorful and dynamic bulletin board display of your students' work. Traditionally, requiring students to write questions and answers about a story is a task most students find quite boring. 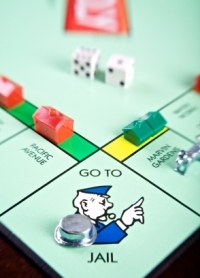 By using this creative book report project idea that contains Monopoly style graphic organizers, your students will be anxious to roll the dice and play each others' fun game board book reports! 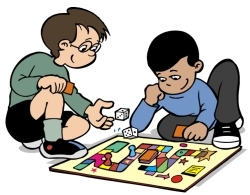 This set of teaching resources includes assembling directions on how to prepare and assemble this game board book report project. 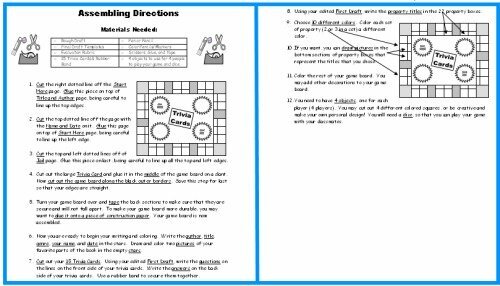 Below is an example of the two assembling directions worksheets. 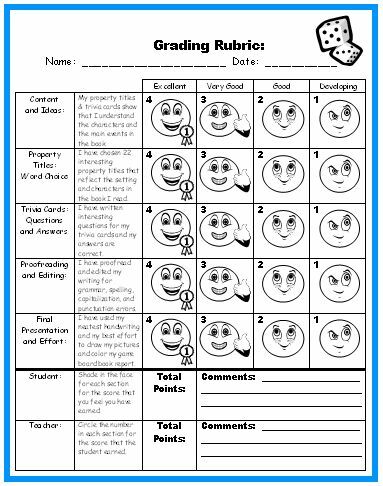 Below is an example of my game board book report grading rubric. For this reason, my students never begin their book report projects by writing on their final draft game board templates, instead they write on first draft worksheets. First Draft Worksheet #1: Students write the title, author, and genre of the book. Students choose 22 property titles based on the settings and characters in their books and write them in the boxes on the first draft worksheet. First Draft Worksheets #2 and #3: Students write 15 questions and answers based on the characters and plot of their books. This book report project contains 4 templates that are cut out and glued together to form a game board that measures 15 inches in width and 12 inches in height. Inside the two stars, students draw and color pictures of their favorite parts of the book. 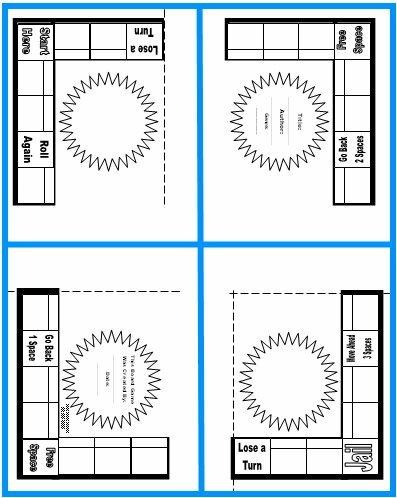 4 worksheets that are cut out and then glued together to form a game board. This game board book report set includes 15 Trivia Cards. 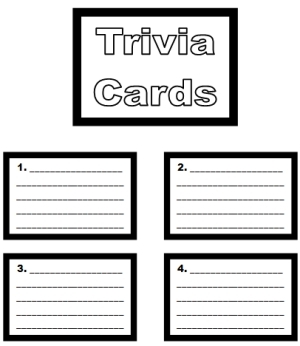 Students write their questions on the front of the cards and their answers on the back of the cards. I always complete an example of this game board book report project before I introduce this assignment to my students. Before my students begin writing their first drafts, I show them my finished game board project. This visual example immediately grabs my students' attention and they are excited to start working on this project from the very beginning. 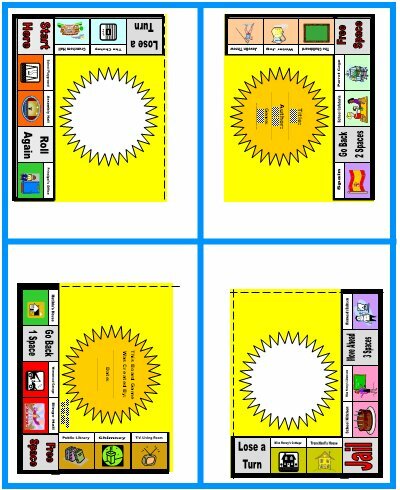 To save you time in coloring your example that you show to your students, I have included color game board templates in this teaching resources set. I display my finished game board book report at the front of my classroom so that students can refer to it as they are completing their own projects. Since this project is time consuming to complete a teacher example of, I have included a completed version of my example using the book Matilda by Roald Dahl. 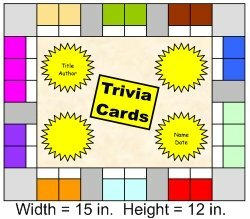 In order to help save you time in assembling a bulletin board display featuring your students' game board projects, I have designed a 5 page banner that is included for free in this set of teaching resources. 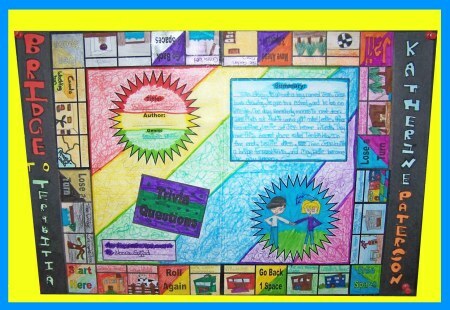 You will be able to design a colorful and dynamic classroom bulletin board display using your students' finished game board book report projects. These game board graphic organizers are a unique and fun way to get your students excited about completing a writing assignment about the books that they have read. 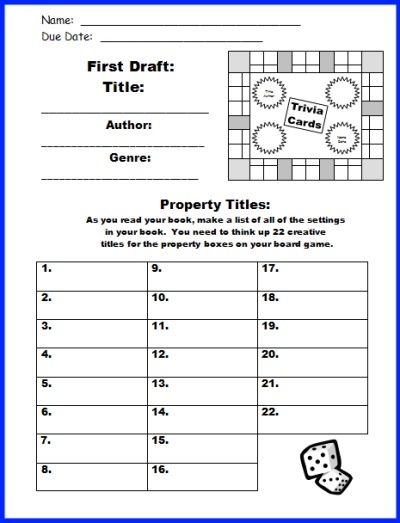 Your students will enjoy thinking up unique property titles for their games, as well as writing challenging questions about their books. My students have enjoyed playing each others' games when they have finished these game board projects. We keep these finished game boards in the classroom all year long. 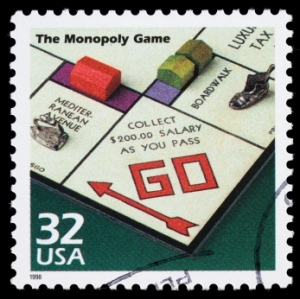 When students finish reading a book that another student has designed a game for, they can play the game that was created for that specific book. This is a great activity for students to do when they have finished their work early, and it doesn't involve you creating a game for each novel. 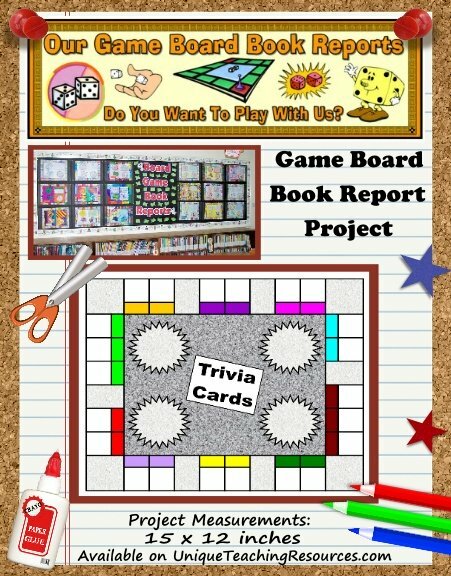 I hope that your students enjoy creating and playing these game board book report projects! Above: Example of a student's finished book report project for The Bridge to Teribithia by Katherine Paterson. Game Board Book Report Projects page.